Spring mattresses and foam mattresses lack proper ergonomics support which results in back pain and in the worst case may create a pressure point in your body. These pressure points are caused by the coils pressing into your body and limiting blood flow. Whereas memory foam mattress reduces the chances of back pain and pressure point by providing proper ergonomics support. Here is the picture representing pressure point on body after respective mattress usage over a period of time. Red zone depicts higher pressure point while yellowish one represent lower one. That’s the reason why memory foam mattresses are suggested by ortho doctors for patients suffering with back pain and sleep disorder. Memory foam mattresses may seem relatively costlier but the health benefits that memory foam mattress offers in long term to you and your family, makes it worthy. Here is the list of our top 5 recommended memory foam mattress. you can opt for any depending on your priority. Some of these comes with preventive measure to protect foam from getting wet which some not. In either case we would recommend to use a mattress cover that will increase lifespan of mattress as well. All these mattresses come in Single, Queen or a King size and is readily available. Note:- If you are switching from spring mattress or foam mattress to memory foam mattress, it takes time for your body to become accustomed to the proper support and pressure relief that it provides. This adjustment period varies anywhere from two to four weeks. When purchasing a mattress, make sure that the company’s return policy cover this time period till you fully become accustomed to your new mattress. Wake-Fit Orthopedic Memory Foam Mattress is known for true comfort and spine support. In Orthopaedic manner, it provides uniform support throughout by distributing body weight uniformly. Its breathable memory foam allows air circulation that avoids sweating and hence are well suited for use in hot humid geography like India. To keep its Orthopaedic significance it is exclusively made with high-density foam that enhances its lifespan and maintains firm support. If you are looking for highly durable and comfort, this mattress is total value for money and deserves your attention. Hush Orthopedic Support Memory Foam mattress brings best out of its 3 comprising layers. 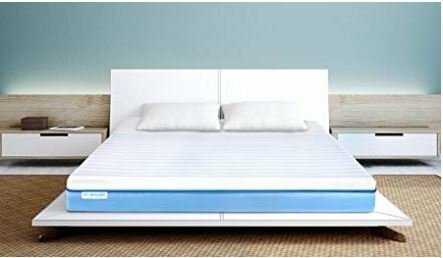 Its top layer made of Thermadapt™ material caters temperature sensitivity, mid layer build with polyurethane foam adds comfort and softness while base layer made of bonded foam supports in the mattress shape adjustment according to your sleeping posture. Hush Mattress offers right amount of comfort without compromising orthopaedic support for your spine because of its layered design. This design feature absorbs movement of one person and does not let it pass to other end of mattress. Thus making it most suitable mattress for couples. 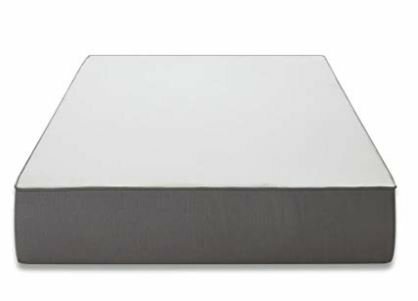 Hush orthopedic mattress comes with an inner cotton cover that holds the each of the three foam layers together. Additionally it also comes with a soft and zippered outer fabric cover which is machine washable and serves as waterproof protection layer for your mattress. Gel memory foam are made by infusing gel material throughout in memory foam. Instead of foam, in these mattresses the tiny crystals of gel serves as heat regulator. These gel crystal helps in regulating your temperature as you sleep by absorbing and releasing heat. 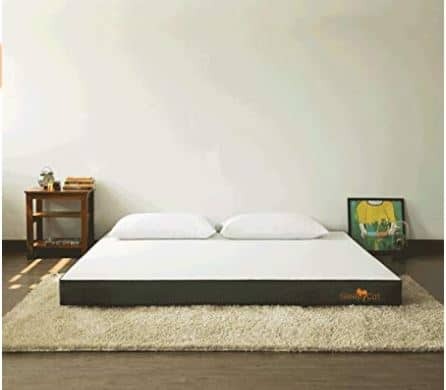 SleepyCat specially designed gel memory foam mattress contains 1-inch of cooling gel memory foam and 5-inches of high density support foam that adds strength, durability, and structure to the mattress. Since the top most layer is basically of memory foam only so It also offers its orthopedic features that includes spine support in different posture by distributing body weight evenly across mattress. It also prevent motion transfer even if your partner changes sleeping position, you remain undisturbed. 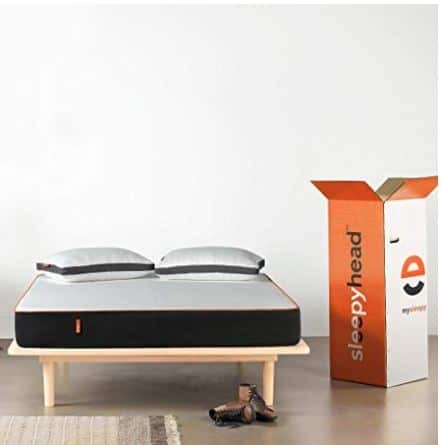 Sleepyhead mattress offers comfort, support, and durability with its uniquely designed 3 layered structure. Top most layer comprises of natural latex memory foam which being a natural product, is free of any harmful toxins. It provides comfort and pressure relief support. Middle layer consist of gel memory foam layer. In which tiny crystals of gel helps in heat and air circulation. The bottom layer of Sleepyhead mattress comprises of high density foam layer that serves as extra support and adds to durability of mattress. Sleepyhead mattress has soft and comfortable fabric that helps in reducing pressure point pain and allows you to have sound sleep. While looking for mattresses the most obvious question that comes is What if my kids spills some liquid over mattress or accidently we do? This could be really a nightmare if your mattress is not having any preventive measure. Thanks to Sleepyhead mattress which comes with washable outer fabric which is quite helpful in such case and is highly recommended if your kids are going to use mattress. You can immediately remove it and won’t affect foam of mattress. Sleepyhead mattress has one of the best packaging. It comes in vacuum sealed compressed packing making it convenient in transportation. Wink & Nod gel memory foam mattress is considered as best in class gel memory foam because of its thicker gel memory foam combination which provide much relaxation in hot and humid weather as well. It comprises of top 2-inch cool gel memory foam and 5-inch high density orthopedic foam making it only mattress company offering this highest standard combination. Wink & Nod topmost 2 inch gel memory foam is formed by infusing gel in memory foam. The infused gel crystal helps in heat exchange and air circulation. Its foam is made up of high standard internationally certified CertiPUR-US® foam which is known for its allergic free material. 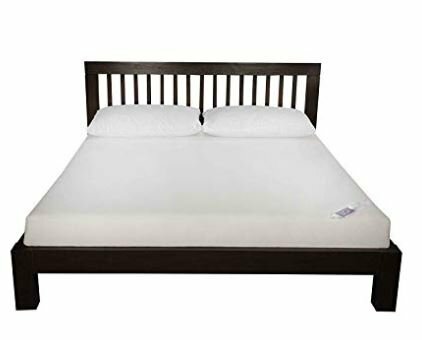 Wink & Nod gel memory foam mattress comes with highly breathable top bamboo fiber cover that allows air passages conveniently and is washable also which serves as protection layer from spilled liquid. Mattresses are your companion in sleep. Although we expect a long lifespan mattress, at the same time we can’t compromise with comfort and health support that specific type has to offer. All five memory foam mattresses mentioned above are well suited for any kind of sleeping posture. If you don’t require to change home frequently and looking for long term feature benefits or elder person is going to use the mattress then Wake-Fit orthopedic memory foam mattress is the most recommended product for you. Long term warranty and perfect orthopedic support. While if you are having small kids in your family then sleepyhead memory foam mattress would be the perfect choice. Washable outer fabric and Natural material makes it top choice. Priorities your need accordingly and opt for a comfortable sound sleep.